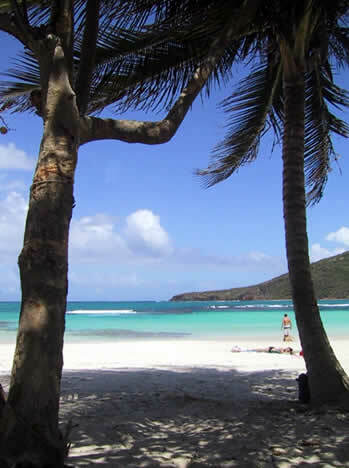 Vieques derives its name from the Ta�no Indian word 'bieke' - for small island. Vieques still is a small and beautiful island. These pages were created to either whet your appetite or maybe you'll find, that there's not enough wild nightlife or gambling and Vieques is not for you after all. Please use the navigation on the left to read about Vieques' History, its People, the Geography, the Flora & Fauna and about Vieques Government & Economy. For a printed guide I highly recommend purchasing Lonely Planet's Puerto Rico. It has a very well researched section on Vieques!